At the weekly chart of the USD/CAD currency pair, the Alligator closed its mouth. The price is completing a bearish fractal near the Alligator’s teeth; AO and AC indicators are in the red zone; there might be a Squat bar on the MFI. A protective stop on my sell order has been moved into the black. 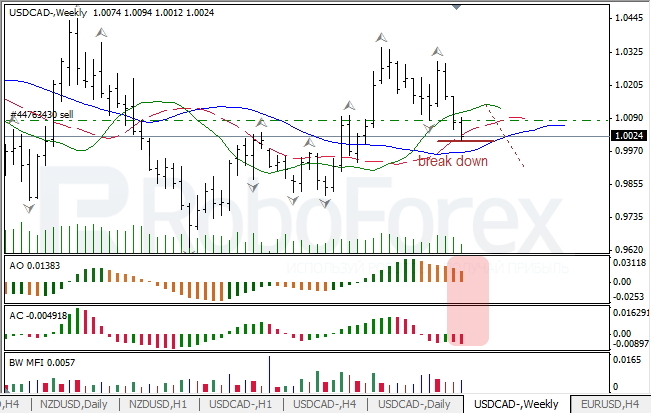 At the daily chart of the USD/CAD currency pair, the Alligator is moving downwards. The price is forming a bearish fractal; the indicators are in the grey zone; there is a Fade bar on the MFI, but there might be a Squat one too. After completing bearish and bullish fractals, I expect the price to break the bearish one. 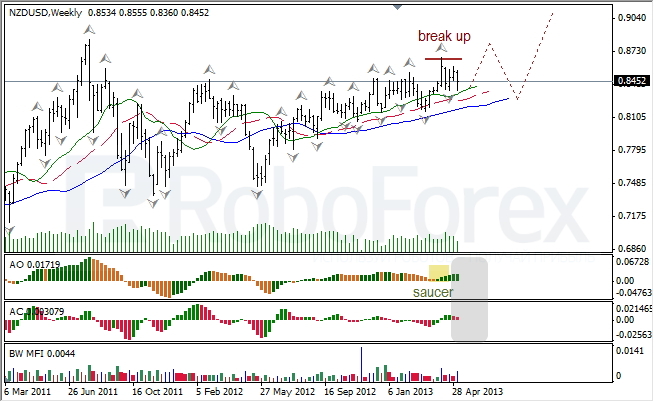 At the weekly chart of the NZD/USD currency pair, the Alligator is slowly moving upwards. There is a signal to buy, Saucer, on AO; the indicators are in the grey zone; there is a Fade bar on the MFI, but there might be a Squat one too. 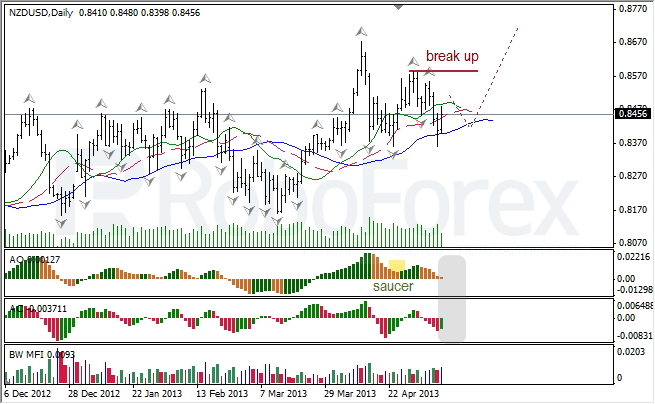 At the daily chart of the NZD/USD currency pair, the Alligator closed its mouth. 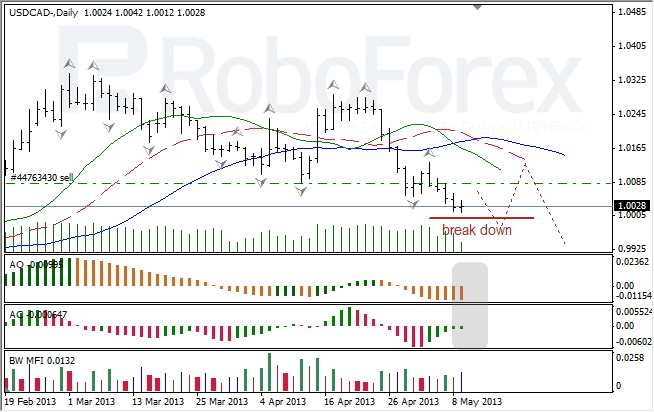 The indicators are in the grey zone; there is a Fade bar on the MFI. I’m planning to open long positions as soon as the price finishes a bearish fractal.